Valentine’s Day is nearing and it’s becoming abundantly clear that love is all around – or at least it is at Etsy. You don’t have to go far into the depths of this haven of all things handmade to find gorgeous gifts for those you cherish the most. Click on through to see our shortlist of Valentine’s Day favourites! Take advantage of our littlest people while they’re young and dress them head to toe as ridiculously cute Valentines. 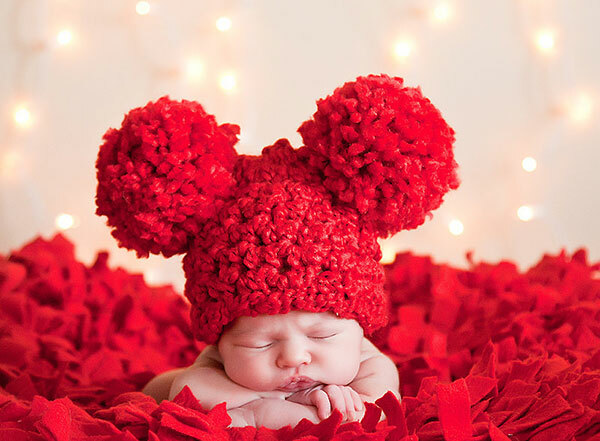 If you’re expecting your bundle of joy to arrive around this loved up day, that sweet newborn is the best gift of all – but in the spirit of Valentine’s Day – and just because you can – this giant cherry red pom pom baby hat (pictured above, $34) from TSB Photo Props isn’t one to be missed. 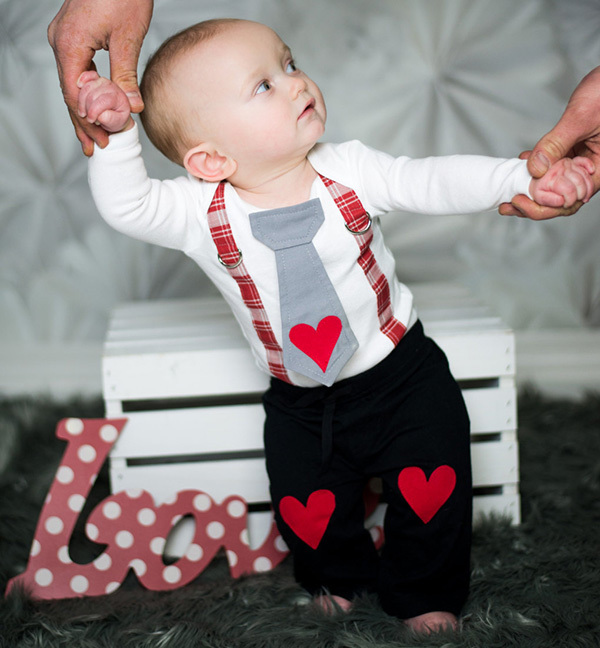 Little lads will look particularly dapper in a pair of heart shaped knee patch duds (priced from $23) and a coordinating onesie complete with tie and suspenders embellishments (priced from $25). Perfect for an outfit so sweet it nearly causes a toothache – you can find it all at Antsy Pants. 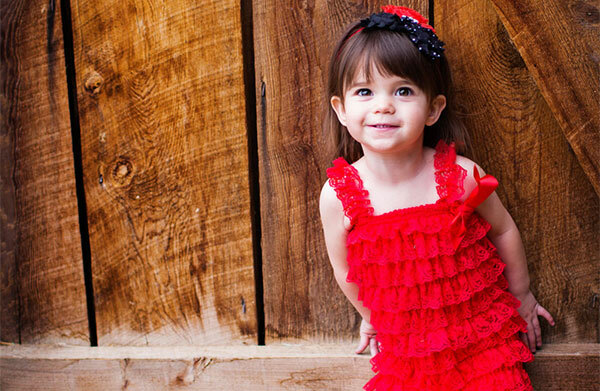 Little ladies don’t miss out of Valentine’s day dressing either – your little cutie pie can be adorned with layers of red ruffles wearing this spectacular Baby Lace Red Romper from A Sweet Celebration. Choose from sizes to fit babes as young as two months up to children aged 18 months, and this gorgeous lace romper will only set you back $19! 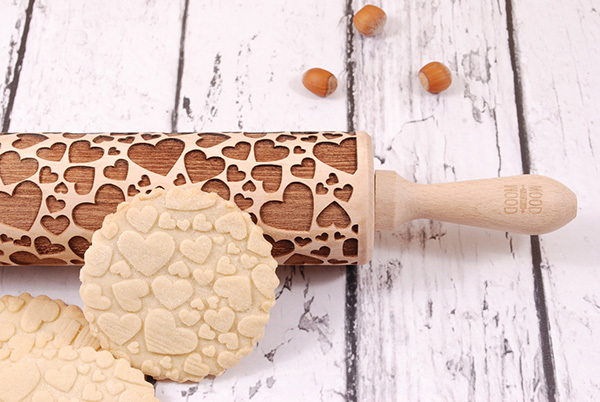 If there’s someone who loves to bake up a storm for their Valentine, they’re sure to adore this super clever Hearts Rolling Pin that embosses biscuit dough or fondant icing with hearts as you roll across it. Genius! It can be yours for $39 from Mood For Wood. Keepsake jewellery is always a hit and the Blue Dove Studio Bar Necklace is a stunningly simple sentiment, perfect for those with a less is more approach to style. 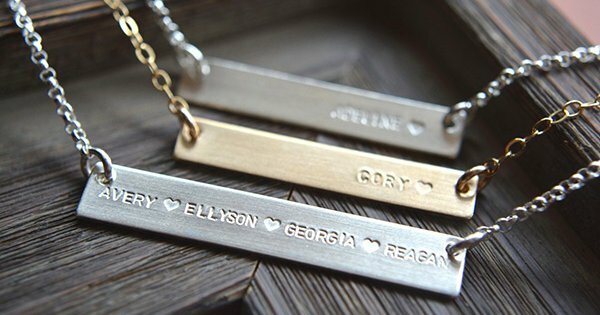 Available in both sterling silver and gold filled, your childrens’ or partner’s (or both) names can be hand stamped on your piece for as little as $46. Valentine’s Day is the perfect day to let your stationery do all the talking. 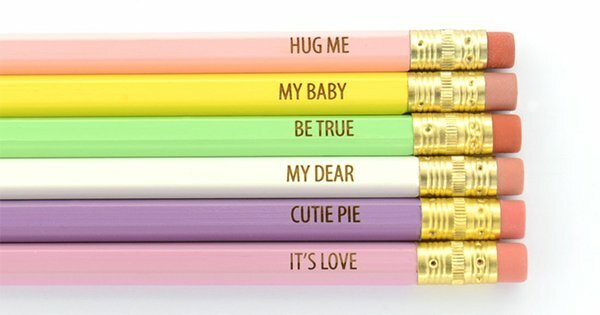 A sweet gift to pop into the kid’s school bags or to spread the love around the office, these Candy Heart Inspired Pencils come as a delicious pastel set of six for just $10 and are available from Wacodi’s. 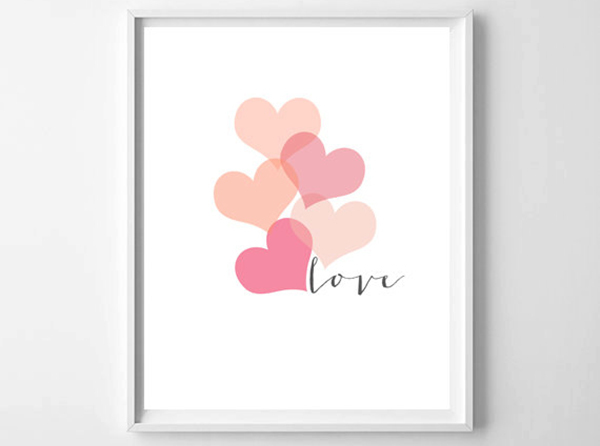 A Valentine’s Day themed print needn’t scream Valentine’s Day and the gorgeous Ombre Hearts Love is subtle enough to be enjoyed all year round. Priced $19, you can find this design and many more at What The Print. I find men tricky to buy for and finding a great gift for them on Valentine’s Day is no exception. 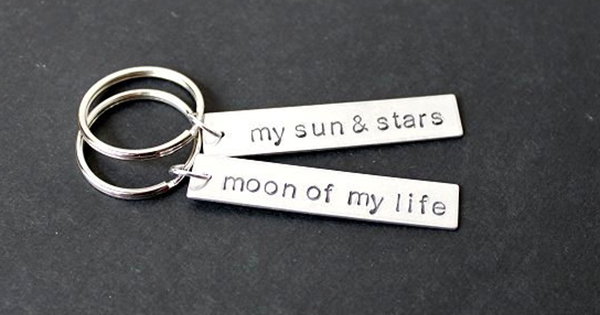 I adore the cheeky sentiment of the cool key chains. Available in aluminium or copper you can choose from classic one liners including Love You More and Be Mine, you can even customise your own. Priced from a very affordable $15, buy these direct at Geek Tags. Accessories are everything – just ask any four-year-old girl wearing all of her accessories at once. If you have a daughter with a penchant for details, she will surely love these super cute Valentine’s Day themed hair clips. 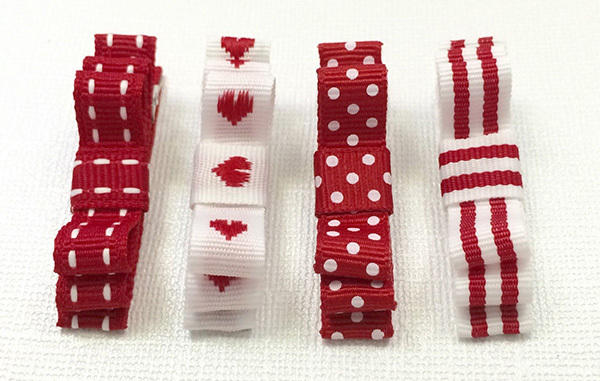 Made from quality grosgrain ribbon, the set includes four red and white bow clips. Add some instant Valentine’s Day fun for $12 from Mini May Designs. Of course your home deserves some Valentine’s Day love and one thing I know for sure is that Etsy has you well and truly covered for magnificent cushions. 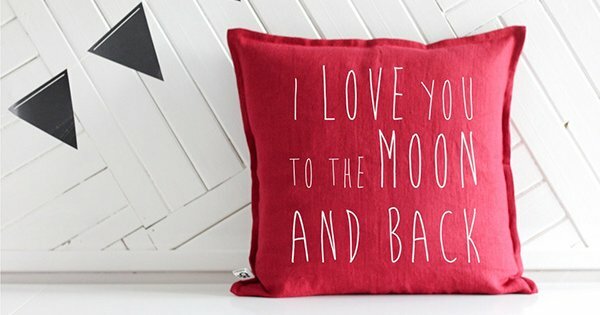 Let your couch know you care with this fab I Love You To The Moon And Back linen cushion, priced from $31 at Bubbles It. So there it is, ten hand picked Valentine’s Day gifts from Etsy for you to consider, but let me tell you this lineup is just the tip of the iceberg – head on over to Etsy for lots more!